The challenge was to develop a vessel that could carry passengers in a safe and dry environment yet also maintain a fun and practical purpose. RIB’s are often referred to as utility boat due to multi-tasking nature, high durability and ride comfort. The THETIS design by Acronautic adds a fresh dimension to incorporate a limousine style cabin and practicality for diving, beach access and cruising. 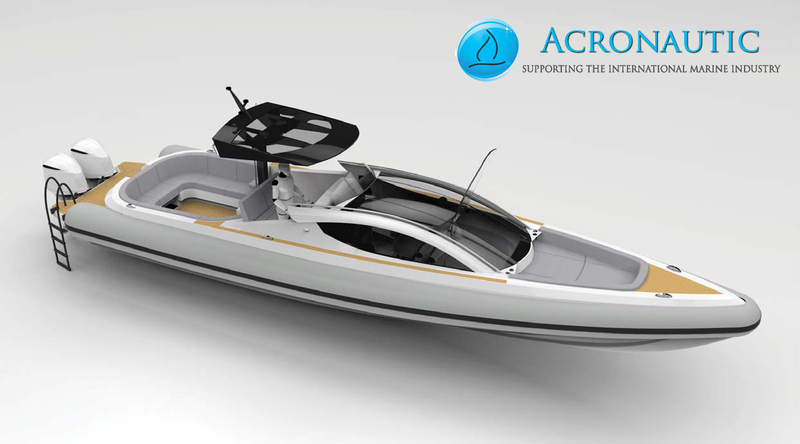 The design was conceptualised by Stephen Crone of Acronautic to meet an increasing demand in passenger transport to and from luxury superyachts, in a vessel that could serve multiple purposes whether it be diving, cruising, lounging or exploring and with the ease and convenience of a RIB. Mr Crone has had a long connection working with high speed luxury RIB’s and most notable for his contribution to the Dariel built 13m RIB ‘YOKO’ – a luxury day boat delivered to a Monaco based client and nominated for the 2012 Showboats ’Yacht Tender Design of the Year’. 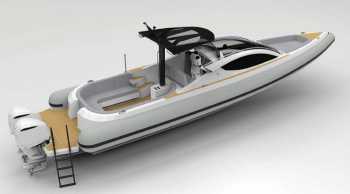 A yacht tender is often the first and last impression guests have from a superyacht cruise, the THETIS design has been developed to become a focal point before, during and after this voyage. This vessel shall provide an experience in itself for guests, whether it be transiting to shore, exploring local bays or diving from this ultra-stable platform, every detail is designed around versatility and user comfort including dedicated boarding points for ease of access. The THETIS also offers passengers an exhilarating ride though a typical V-shape performance hull capable of speeds in excess of 40 knots from twin 350hp outboard engines. Naval Architecture and styling on the design has been provided by Whitehouse Yacht Design who has specialises in custom yacht projects and Fluid Dynamics to ensure the most efficient hull performance and ride comfort. 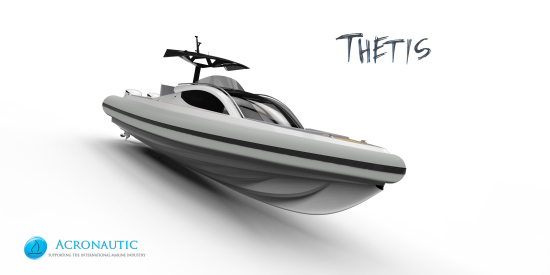 The THETIS project shall be managed in conjunction with Josh Richardson and the team from Superyacht Tenders and Toys to ensure quality finishes and attention to detail is achieved to realize the demands of fastidious superyacht owners.